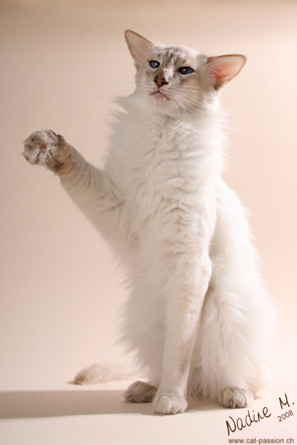 It all started in 1988, when I saw for the first time a balinese cat. I was so impressed by this elegant cat with its soft lines that I knew, this is the right breed for me. Since 1991, I am breeding together with my family Balinese and Siamese cats and occasionally Oriental longhairs and shorthairs. We are members of the European Breeding Federation FIFE and a member of the US Cat Fanciers Association CFA. In the last years the balinese breed has grown a lot in popularity and some engaged breeders spend much time and effort on it. Nevertheless, the breed is still something rare and special. With our cattery we have been trying over the years to further improve the quality of the Balinese step by step. Mainly, by combing them with Siamese and Oriental Shorthairs and by using excellent US Balinese lines. 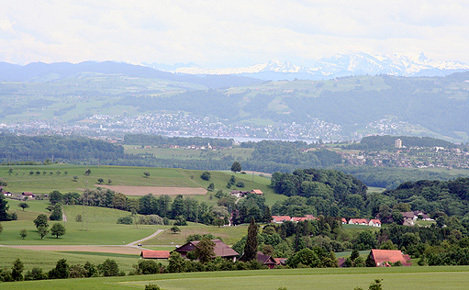 We live in a small village called Auw in the heart of Switzerland. All our cats are real family members which are living together with us in our house near the beautiful Swiss mountains. copyright (c) Dr. Mirjam Kessler, Switzerland.